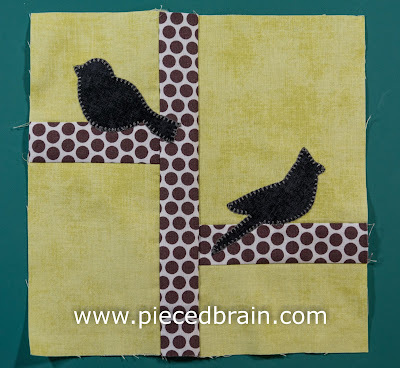 This week we are "going" to the Aviary as we continue with the City Girl Sew Along and finish block #17. 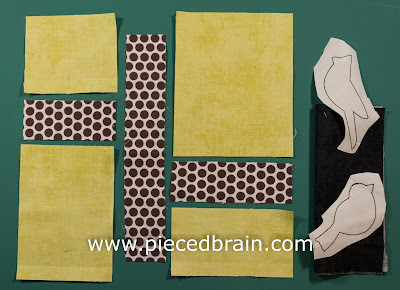 All fabrics featured on this block are by Riley Blake Designs: the background and the dark gray for the silhouettes are from their Blenders Collection (C200), and the branches are cut from RBD Honeycomb (C800). Throughout this Sew Along I have machine appliqued silhouettes with Aurifil Mako 12wt, so this is the thread I used on this block, also. 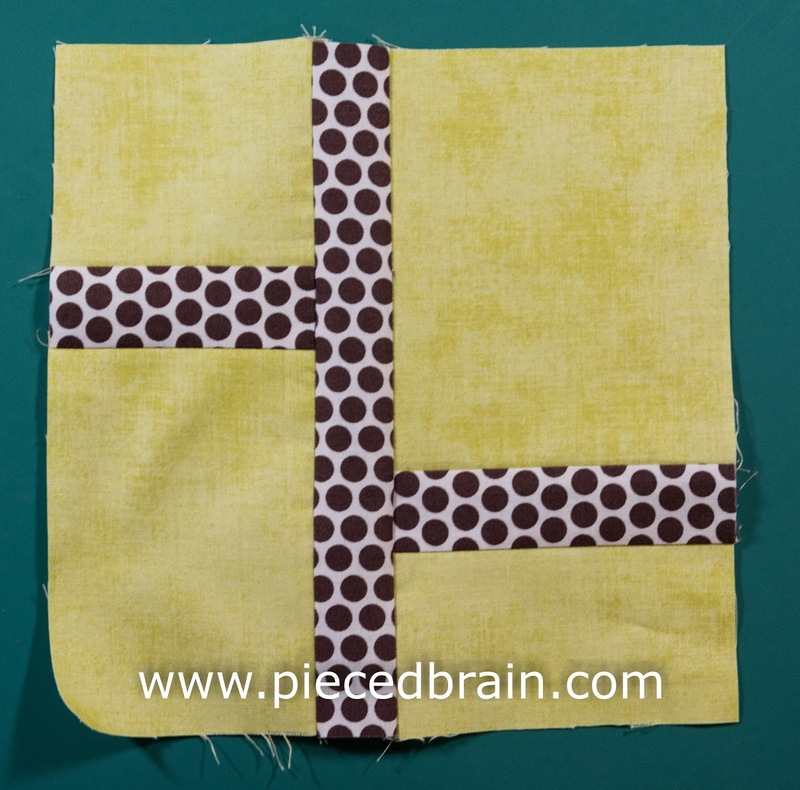 I continue to use HeatnBond Lite to fuse applique shapes to the background. Gather all pieces as shown above near your sewing machine. To download the template for bird shapes, click here. 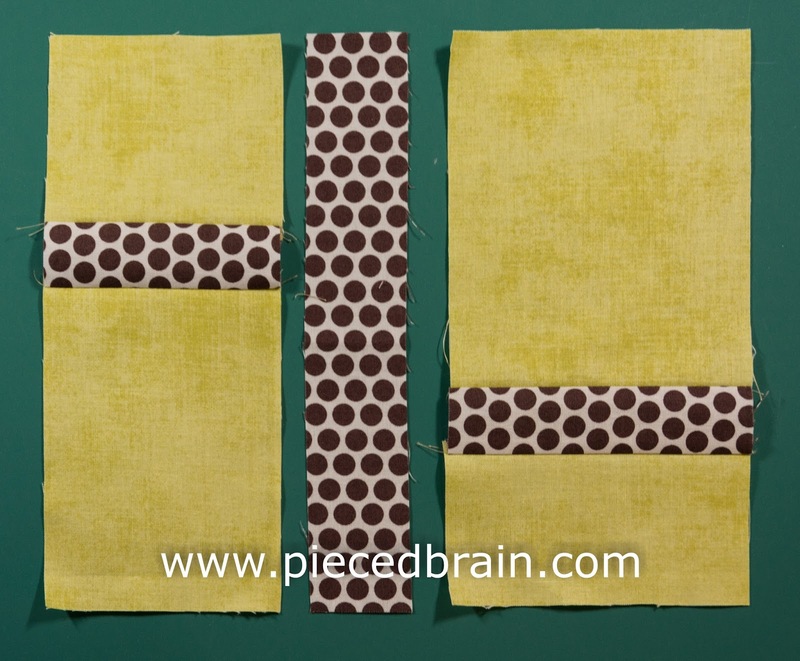 Stitch together the pieces to the left of the "main branch", then the ones to its right, always using a 1/4" seam allowance. Press seams toward dark fabric. Next, stitch each side to the main branch. Press seams toward dark fabric again. 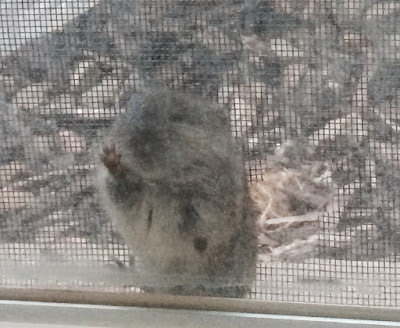 This field mouse kept walking between the screen and the window through the hole his predecessors made... Then he would attempt to climb the screen to get out through another hole only to fall down again. I became interested in his attempts and could not do anything else but watch him for a long time. You may call it wasting time - I decided to call it "being present" !!! On this note, I wish you a great weekend! On Monday I will announce the winner of our last giveaway of the month, celebrating my 10th anniversary as a quilter. See you on Monday! I love it! I used those same birds on a bag. Love your attitude!